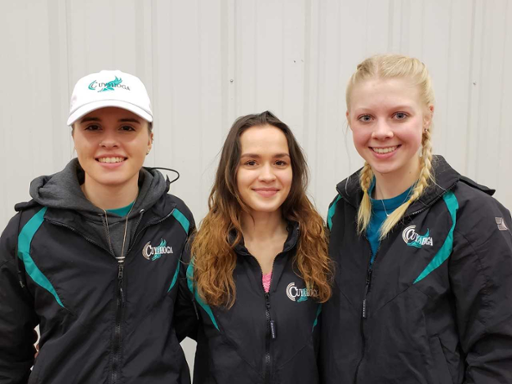 Three members of the women’s cross country team at Cuyahoga Community College (Tri-C®) earned Academic All-American honors from the NJCAA Cross Country Coaches Association for fall semester. The classroom standouts included Niki Bartosova of Brook Park, Hannah Heath of Sullivan and Sierra Taylor of Conneaut. All are freshmen. Heath is studying physical therapy at Tri-C, while Bartosova and Taylor are working toward Associate of Arts degrees. As a team, the Triceratops posted a 3.511 GPA — the 14th highest in the nation out of more than 200 colleges with cross country programs.